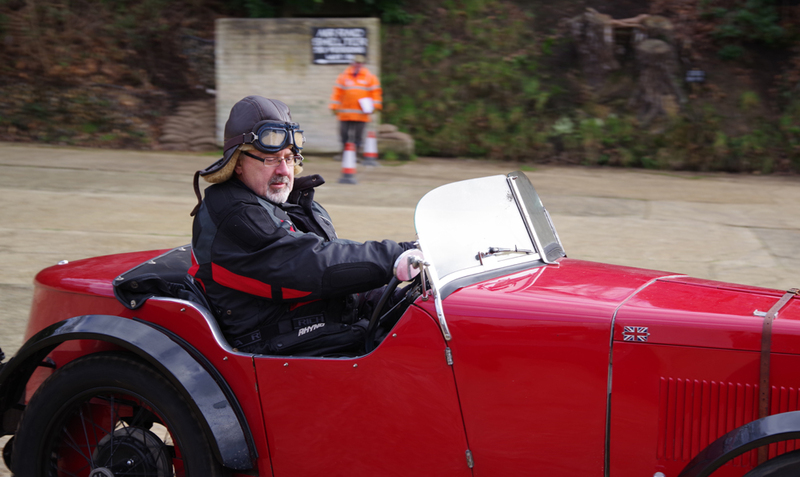 The VSCC’s annual New Year Driving Tests took place at Brooklands on 27th January in mixed weather conditions. The Minor, M Type Midget and Hornet communities all had solitary representatives among a 58 car field. Here, Andrew Lucena’s 1932 paneled Midget (GX 1047) is seen being enthusiastically driven around one of the sections positioned upon the circuit’s original Start/Finish straight. NB.Biggles would have been horrified to see an untethered flying helmet!